When author Jeff Hobbs arrived at Yale University, he became fast friends with the man who would be his college roommate for four years, Robert Peace. Robert’s life was rough from the beginning in the crime-ridden streets of Newark in the 1980s, with his father in jail and his mother earning less than $15,000 a year. But Robert was a brilliant student, and it was supposed to get easier when he was accepted to Yale, where he studied molecular biochemistry and biophysics. But it didn’t get easier. Robert carried with him the difficult dual nature of his existence, “fronting” in Yale, and at home. 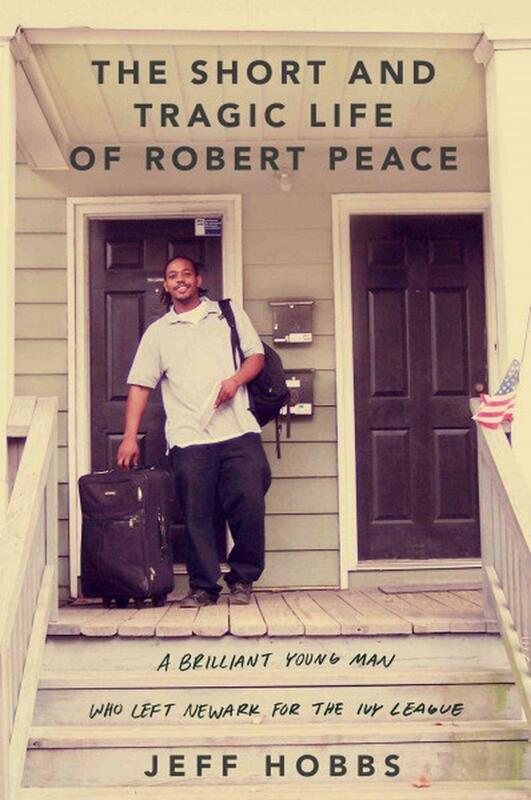 Through an honest rendering of Robert’s relationships—with his struggling mother, with his incarcerated father, with his teachers and friends and fellow drug dealers, Hobbs’ book: The Short and Tragic Life of Robert Peace encompasses the most enduring conflicts in America: race, class, drugs, community, imprisonment, education, family, friendship, and love. "The Little Girl Who Fought The Great Depression: Shirley Temple And 1930s America"
For four consecutive years Shirley Temple was the world’s box-office champion, a record never equaled. By early 1935 her mail was reported as four thousand letters a week, and hers was the second-most popular girl’s name in the country. What distinguished Shirley Temple from every other Hollywood star of the period—and everyone since—was how brilliantly she shone. Amid the deprivation and despair of the Great Depression, Shirley Temple radiated optimism and plucky good cheer that lifted the spirits of millions and shaped their collective character for generations to come. In The Little Girl Who Fought The Great Depression: Shirley Temple And 1930s America, distinguished cultural historian John F. Kasson shows how the most famous, adored, imitated, and commodified child in the world astonished movie goers, created a new international culture of celebrity, and revolutionized the role of children as consumers. Amitava Kumar is a novelist, poet, journalist, filmmaker, and Helen D. Lockwood Professor of English at Vassar College. He is the author of A Foreigner Carrying in the Crook of His Arm a Tiny Bomb and Nobody Does the Right Thing: A Novel. His new book, A Matter of Rats: A Short Biography of Patna, is an entertaining account of his hometown. Kumar's ruminations on one of the world's oldest cities, the capital of India's poorest province, are also a meditation on how to write about place. His memory is partial. All he has going for him is his attentiveness. He carefully observes everything that surrounds him in Patna: rats and poets, artists and politicians, a girl's picture in a historian's study, and a sheet of paper on his mother's desk. One hundred years after his inauguration, Woodrow Wilson still stands as one of the most influential figures of the twentieth century, and one of the most enigmatic. And now, after more than a decade of research and writing, Pulitzer Prize-winning author A. Scott Berg has completed Wilson--the most personal and penetrating biography ever written about the 28th President.